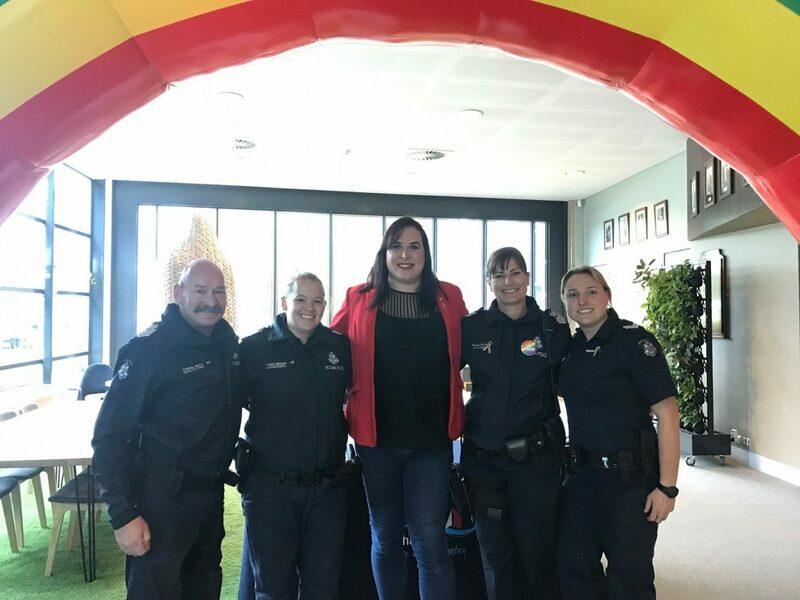 Footballer Hannah Mouncey, trans advocate Michelle Sheppard, and non-binary activist Joe Ball were invited to speak to the club about LGBTI inclusion. A trio of trans and non-binary activists have spoken to players and staff at the Essendon Bombers football club about the impact of visibility in sport. 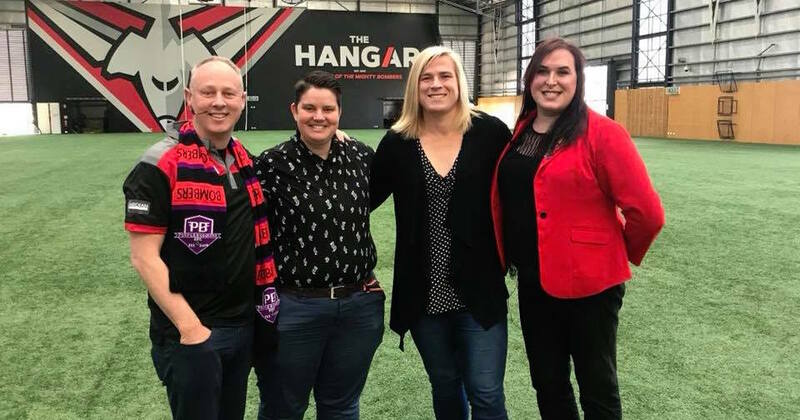 Trans footballer Hannah Mouncey, advocate Michelle Sheppard, and non-binary activist and Switchboard CEO Joe Ball were invited to speak to the club thanks to the organisation of Jason Tuazon-McCheyne, head of the Essendon LBTI supporters group the Purple Bombers. The players listened to Mouncey, Sheppard and Ball speak about their lives, pronouns, and family life post-transition, The Age reported. “Ninety per cent of people will be fantastic,” said Mouncey, who addressed the players along with another prominent trans person, Michelle Sheppard, and non-binary activist Joe Ball. “The other 10 per cent will be really, really extreme in their hate. There’s two games this year where I was pretty glad to get off the field and not get shot, which sounds extreme…that is where the extreme end of the hate is. Mouncey was barred from entering the AFLW draft last year but has since found a place playing in VFLW. She stressed that local teams are following suit after an increase in the prominence of pride games at the highest level. Mouncey’s simple point was to tell the players to treat trans people with the same respect they would anyone else. “There’s a lot of people like myself who don’t see ourselves as either,” Ball told the players, saying to use “the pronouns they/them’’ for non-binary people. They explained that inclusion in sport could be an “antidote” against LGBTI people, and especially LGBTI youth, struggling with mental health and suicide. Bombers player Brendon Goddard is the club’s fiercest champion for LGBTI inclusion, crediting Tuazon-McCheyne for the shift in his perspective. © Star Observer 2018 | For the latest in lesbian, gay, bisexual, trans* and intersex (LGBTI) news in Australia, be sure to visit starobserver.com.au daily. You can also read our latest magazines or Join us on our Facebook page and Twitter feed.